Making the decision to do something about eliminating your debilitating Low T symptoms can be a life-changing one; but it will be how you approach your hormone replacement therapy that will have the greatest influence on maximizing the effects of testosterone cypionate injections. These injections are what doctors in the US most commonly prescribe as treatment for male hormone deficiency. 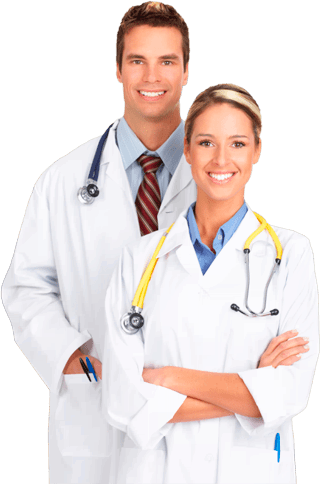 So consequently, there is a deep supply of medical knowledge available to patients who want to get the most benefits from their doctor prescribed testosterone replacement therapy programs. Why it is so important for patients to draw from this knowledge is because they will be responsible administering their own bio-identical testosterone treatments. As a TRT patient of Nexel Medical, your program will be carefully prescribed and supervised for you by an experienced hormone therapy doctor who has evaluated your condition of androgen deficiency. However, you will need to learn how to correctly prepare and administer your injections, and you will need to follow your doctor’s dosage instructions, in order to maximize the results of your therapy. But there is no need for this to concern you or prevent you from proceeding with TRT; with a respected and fully accredited medical provider of hormone replacement therapy programs like Nexel Medical, you will be provided with all of the educational tools you need to ensure your successfully treatment. We make sure that our patients know how to maximize the effects of testosterone cypionate injections by not just telling but showing them how properly prepare and give themselves these intramuscular shots. We explain in detail what the best injection sites are because you don’t just stick a needle into an arbitrary muscle anywhere on your body, as this could cause nerve damage or other unwanted complications. And we also make ourselves available to our patients so that whenever they have questions or concerns regarding their TRT programs, they know that they can call on us for the assistance they need. 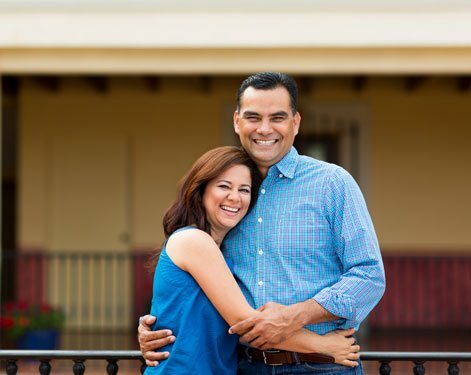 We encourage our patients to utilize our knowledge and experience in order to maximize the results they receive from their Low T treatment – because this is what we want for all of our patients, as much as they want it for themselves. A patient’s attitude is the best tool they can possess for both maximizing the positive results and minimizing the risk for potential side effects of testosterone cypionate injections use. Fortunately, decades of clinical results have proven that exogenous testosterone is a substance that the body tolerates very well, so the risk for side effects when using TRT is medically considered to be a low one. Patients can ensure that their own risk remains low by consistently following their doctor’s treatment instructions and having the required blood testing performed as recommended. Some patients might feel tempted to increase the quantity of their dosage or administer their injections more frequently than prescribed if they don’t receive the results they expect soon enough. But doing this without getting the approval of your doctor is a mistake – and it’s a mistake can quickly cause your TRT program to go downhill. So an attitude of patient perseverance, and the knowledge that every individual responds to testosterone replacement therapy per their own unique physiological timeframe, can go a long way in helping you to stay on track with your treatment, and avoid experiencing the side effects that can occur when patients decide to make unauthorized changes in their medically prescribed dosages. What actually has the potential for causing side effects of testosterone cypionate injections is the same factor that applies to all forms of TRT: The conversion of the supplemental male hormone being converted into estrogen through a biological process called aromatase. Yet just as every patient has their own physiological timeframe for experiencing the results of their treatments, they also each have their own genetic code that predetermines their likelihood for having an adverse reaction to their treatments. Put simply, some adults are genetically predestined to tolerate and respond to medically prescribed substances like testosterone cypionate more positively than others. However, one of the best of all ways for patients to maximize their potential for achieving positive results and minimize their potential risk for experiencing side effects such as fluid retention, joint or muscle pain and breast tenderness is to have their TRT prescribed and managed by an experienced and fully qualified hormone therapy provider like Nexel Medical. Any adult who has ever had to endure being professionally managed by an inexperienced or unqualified individual will definitely understand what a difference having the right experience and qualifications can make. Throughout our lifetimes, our hormonal balance is a key component of our overall health condition and what occurs as people age is that some of their most critical hormone levels progressively decline. Testosterone is one of the most influential hormones produced by the male body (females produce it also, but in much lower quantities), which is why the effects of testosterone cypionate injections do even more than enable adult men to maintain their virility and vitality. In providing their bodies with a replenished supply of androgen hormone, men who are 30, 40, 50, 60 and older can help to sustain the health of their bone density; can reduce their risk for developing diabetes; can help to ward off hypertension; and can keep their muscles stronger and more toned. They can feel more energetic and sustain stronger cognitive function; and eliminate the feelings of depression and anxiety that having unhealthily Low T levels often causes. Yes, using TRT can absolutely restore the sexual passion and fulfillment to your life, which is extremely important to many men – but it can also restore your self-confidence by returning you to the better and healthier version of yourself. Hormonal balance is something that adults rarely think about until they begin to feel the adverse health effects that are clinically associated with losing it. If this has happened to you, then the more you learn about gaining the positive effects of testosterone cypionate injections, the better you are going to feel about being able to medically reverse the underlying cause of all of your unwanted Low T symptoms. So if you are ready to learn how to reclaim your male vitality and virility, we encourage you to contact Nexel Medical and find out everything you need to know optimizing your healthy lifestyle with doctor prescribed testosterone replacement therapy. You’ve got everything to gain, and nothing but your troublesome symptoms to lose.